Dr. Veve is a very well seasoned anesthesiologist. In addition to being Board Certified in Anesthesiology, she is also Board Certified in Critical Care Medicine. Her primary area of specialization is Cardiac Anesthesia, and she has over 15 years of experience as a Professor at tertirary referral centers including Stanford University and UMDNJ. She has performed all major cardiovascular cases (cardiac bypass, total circulatory arrest, major organ transplant [heart, lung, liver], cardiac valvular replacement, aortic replacement, etc). She has been the Director of both Cardiothoracic Anesthesia and Perioperative Transesophageal Echocardiography. Dr. Veve's most consuming endeavor has been starting a family, and as such, has stepped back from academic medicine, and now provides anesthesia for mostly outpatient surgery. In 2007, she moved from California to Texas, and founded Southlake Anesthesia. 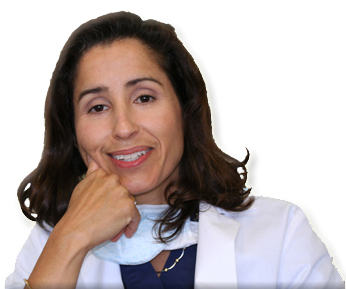 Dr. Veve often works with her husband, Dr. Michael A. Bogdan, providing anesthesia for his cosmetic cases. (Dr. Bogdan is a plastic surgeon practicing in both Dallas and Southlake, and specializes in cosmetic surgery.) A number of patients are anxious regarding anesthesia, and this site was created to hopefully allay some of their fears regarding the individual who will be caring for them. Please email Dr. Veve if you have any questions or comments.